I have come to realize that Canadians, coast-to-coast, love rum. As such, the LCBO is stuffed with great rums from nearly all areas. Other than Rhum Agricole, you can find almost anything in Ontario. Much of it may have to do with the predominance of Caribbean culture in Toronto and surrounding areas. Regardless of the reason, we’re better off for it. Though I too love rum, I’m not as much of an aficionado as others I know in the cocktail world, and will therefore limit my comments so as to avoid making a fool of myself. Rum is coarsely divided into different styles. Because Cuba is still a friend of Canada’s, we enjoy its brands in Ontario. Havana Club Blanco Anejo is my white cocktail rum of choice, though I almost always use aged rum when mixing drinks. I’ve heard stories of Americans in border cities smuggling Havana Club back into the states. Sound familiar? I also like Trader Vic’s Silver Rhum but am not convinced the LCBO will continue to stock it. I use Brugal from the Dominican as my amber rum and have various black rums on my shelf. Gosling’s Black Seal from Bermuda is probably my number one black rum but Myers’s Planters Punch from Jamaica, El Dorado 12 year, Havana Club 7 Year and Flor de Cana from Nicaragua make great products for cocktails mixing as well. All are readily available at the LCBO. Another rum I tried recently which blew me away was the Smith & Cross Traditional Pot Stilled Jamaican Rum. Totally incredible and sporadically available at the LCBO. Should be saved for a Daiquiri on a summer patio. To be honest, and I might have an unsophisticated rum palate, I find you can’t go wrong with any premium dark rum. I keep Sailor Jerry’s spiced rum on my bar, but the call for spiced rum in the cocktails I make is minimal. Rhum Agricole from the French West Indies is a very different beast and not for everyone. It is made from fresh sugar cane juice rather than molasses (the source of most rums). I keep a bottle of Rhum JM Blanc from Martinique but it is very strongly flavoured, and can dominate cocktails. That said, it seems almost identical to cachaca, a sugar cane product from Brazil, and the spirit found in the Caipirinhia. Rhum Agricole is sporadically available at the LCBO (less often than more) but there are usually two to three brands of cachaca available at the bigger stores. 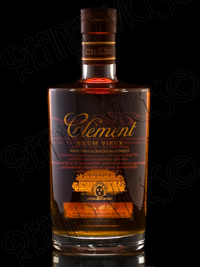 I am also the proud owner of Rhum Clement VSOP aged Rhum Agricole, which is called for in some PDT cocktails. Legacy Liquors in Vancouver carries this phenomenal rum but you will otherwise have to head to the US. Once in a while a recipe will call for overproof rum. The only two I’ve seen at the LCBO are the Wray & Nephew and Bacardi 151. Either is fine. Overproof spirits are often used when the cocktail needs to be ignited. I’ve lumped this oddball in with rum because it is primarily distilled from sugarcane (and red rice). Hailing from Indonesia, The Dutch have distilled this product for hundreds of years and it was the original spirit of choice for many of the punches found in Jerry Thomas’ early recipes around the turn of the last century. It is now available to us in North America but, of course, not at the LCBO. It has a flavour profile to my palate similar to Rhum Agricole. In my mind it can dominate so dabble with it on your own before serving a whole ton of Batavia Arrack cocktails to a group.